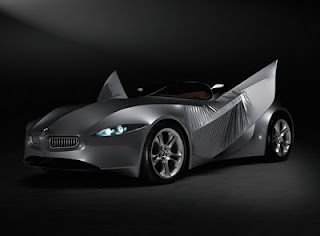 BMW has unveiled its GINA Light Visionary Model concept car on June 10, 2008. 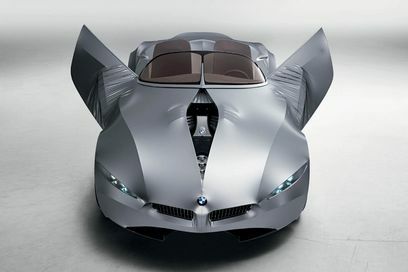 The BMW Gina Light Visionary concept car showcases the direction that BMW’s designs may take, and new materials and technologies that BMW plans to adopt in the future. The BMW GINA Light Visionary Model concept car uses fabric as the skin that allows drivers to change the shape of the car at will, unlike rigid structures. 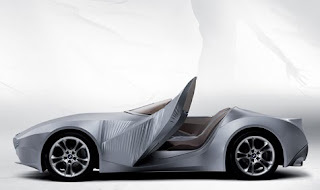 The fabric skin of the BMW GINA Light Visionary Model concept car is used to cover metal wires, which can be moved to achieve different shapes using electro-hydraulic devices. The BMW GINA Light Visionary Model concept car allows the driver to change both the exterior and interior of the car for as many number of times as desired. So you want a low-slung skirt – you got it. Want a spoiler, you got that too! The headlights are revealed when the fabric moves apart, and the engine is accessed when the bonnet seemingly splits to reveal its innards. 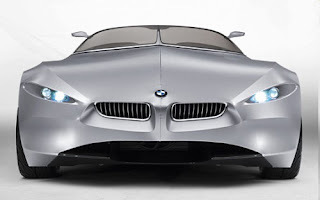 Another plus for the BMW GINA Light Visionary Model concept car is that its lighter and can be made out of materials that require less energy to make them. In a video on BMW-web.tv, titled BMW GINA Light Visionary Model: Premiere , Chris Bangles, Director of Design BMW Group, says BMW GINA is an acronym that stands for Geometry (shapes), function (how things work), N for Infinite number of Adaptations. He adds, “The BMW GINA philosophy is about flexibility. Thinking flexible. Acting Flexible.” Earlier, BMW had also revealed a teaser video that shows the BMW GINA Light Visionary Model concept car being transported to the BMW museum in Munich. 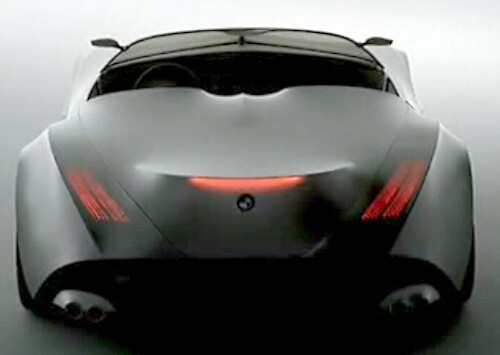 The BMW GINA Light Visionary Model concept car may or may not find its way into production, but it may be the precursor of new material alternatives that are lighter and more fluid. The BMW GINA Light Visionary Model concept car may also provide new design inputs because of its shape-changing abilities.